Welcome, ENGL 100 students, to the Cañada College library! Let's learn about the library and find a fun read! 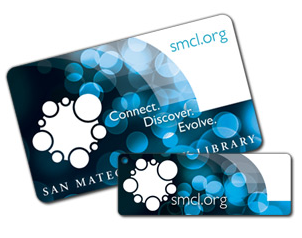 You must have a library card from any of the 35 libraries in the Peninsula Library System to check out books or to access articles and ebooks off campus. Fill out this online application and print it. Bring a photo ID that verifies your address to the circulation desk at any library. Find your nearest library on this map of the Peninsula Library System. The library's 71 computers do not require you to log in and there is no time limit.